Storage heaters are the ideal heating solution for many homes. They are particularly cost effective. By storing heat at the cheapest tariff, usually at night, they can save a huge percentage of your electricity bill and heat your home for 24 hours a day at an unbeatable cost. Storage heaters are timed to consume electricity when the night tariff starts and turn off when this finishes, offering 24h of pure comfort. This product heats a ceramic block, made of high density magnetite bricks, specifically chosen for their capacity to absorb and store heat. The heat stored at night is gradually released into the room during the day, until the following evening when the storage heater switches on again. Our storage heaters have controls that allow you to vary how much heat they store and release, depending on the time of the year and temperature needed. They also have a device to allow you to control how quickly they release their stored heat. Besides this, our storage heaters come equipped with a security device to prevent overheating if the grills are accidentally covered by clothes or any other objects. 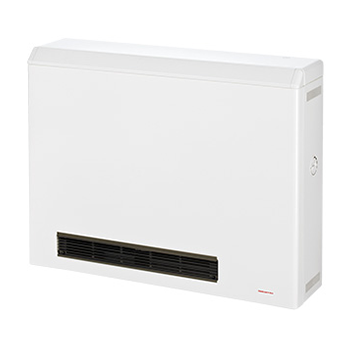 The static storage heaters give heat through their surface and by natural convection. The dynamic storage heaters circulate warmth by blowing air into the room through a fan. In the home, dynamic storage heater works well alongside static storage heaters. It is common to find dynamic models in living-rooms and static versions in bedrooms, halls and passage ways. At Elnur, we started to design and manufacture storage heaters more than 40 years ago. Nowadays, Gabarrón brand is a leader in the innovation and development of storage heating systems, presenting the first programmable digital accumulator in Spain adapted to the European Ecodesign Directive, ECOMBI PLUS. The storage heaters are prepared to take full advantage of the Off-Peak electricity tariffs, where the price of energy is cheaper during the off-peak period. They are designed to offer comfort 24 hours a day. The storage heaters consume the most economic energy. They can be installed both in newly constructed buildings and in older buildings without the need of refurbishment or modifications. They do not emit fumes or direct contamination in their operation. There are no hydraulic circuits, no water leaks and no fuel tank is required. They do not require hardly maintenance. You can find digital storage heaters capable of achieving savings up to 35% compared to other traditional storage heaters. 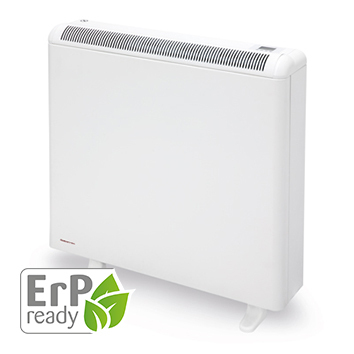 The latest generation of Digital storage heaters as Ecombi, are able to manage the load on a daily basis to adapt to your comfort needs. They even adapt to sudden weather conditions from the outside, providing extra heat if you need it. They are fully programmable and already have the possibility of management and remote control via wifi. All our ranges are fully compatible with the OFF-PEAK 14h. electric tariff in Spain (2.0 DHA) and OFF-PEAK 8h. electric tariff in the rest of countries.